1. Is your company a member of the Better Business Bureau? 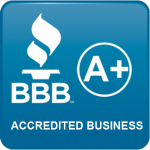 Yes, we are registered with the BBB in the state of Missouri as an Accredited Business with an A+ rating. 2. Does your company carry Worker’s Compensation and General Liability Insurance? Gateway Exteriors and our employees are fully insured and we will provide a certificate upon request. 4. Does your company expect a signed contract at the first appointment? No. At Gateway Exteriors we will not use “High Pressure” sales tactics. Our goal is to give you as much information as possible, to help you make the best decision for improving your home. We will leave you with samples and brochures about the products, as well as an estimated cost of the project. 5. How many years experience does your company have? At Gateway Exteriors has over 30 years experience in the remodeling business. Since 1982, we have worked hard to create an established business history and have become known for providing an exceptional Quality of service in our industry. 6. How does your business operate? At Gateway Exteriors, we use our own employees and do not sub-contract. Most of our employees have been with us for 15-27 years. They receive health insurance, 401K Plan, and the use of company vehicles. This is one way we are able to acquire and retain the highest quality employees. 7. Are any of your company’s employees certified? We have participated in numerous training programs: Master Contractor, Certainteed 5-Star, Vinyl Siding Institute, James Hardie Fiber Cement Installation, EPA Lead Safe Program, and more. We feel such efforts are an indication of our professionalism and skill level. 8. May I have a list of references for the projects that you have completed? Approximately 90% of our work is from satisfied customers who want to tell their friends and family about their experience with our company. We will be proud to give you names and addresses of our completed projects so you can see first-hand the quality of our work. 9. Does your company offer a warranty? Materials used are backed by the manufacturer’s product-specific warranties. And Gateway Exteriors offers a lifetime warranty on the labor/installation on most jobs.